A few months ago, we got a sneak peek of the 2,000hp Toyota Land Speed Cruiser. 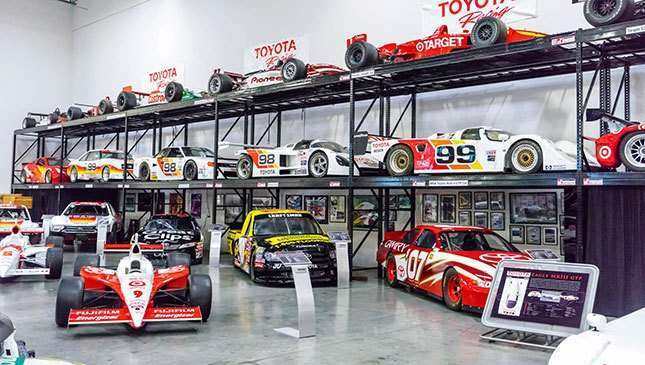 It’s the work of Toyota’s racing division, and rolled out of the Los Angeles workshop that just so happens to sit beside Toyota’s US museum. It would have been rude not have a look around, we thought. 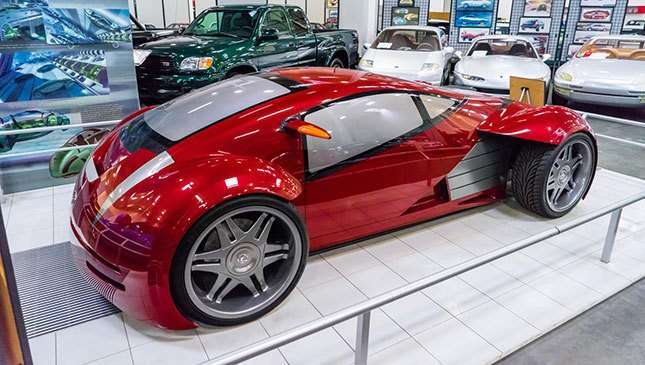 From fabulous race cars and wild concepts to retro sports cars and Bonneville record holders, it has everything. Even a RAV4. 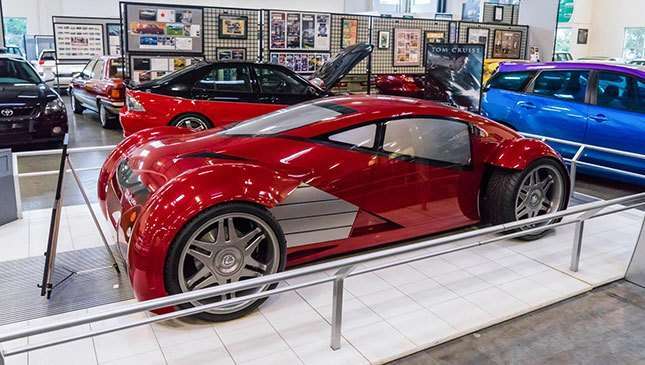 Oh, and the cars of Tom Cruise, Cameron Diaz and Keanu Reaves. 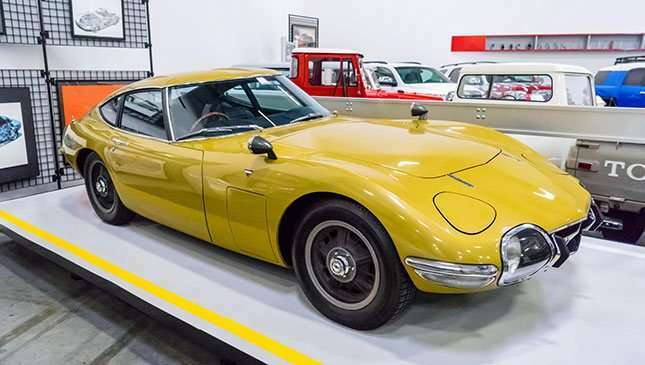 Toyota’s coolest, prettiest, greatest car? The 2000GT not only looks incredible, but has kudos via James Bond and celebrity ownership points to further boost its profile. This one belonged to Twiggy. If you’re under 25, don’t worry. It’s okay to not know who that is. 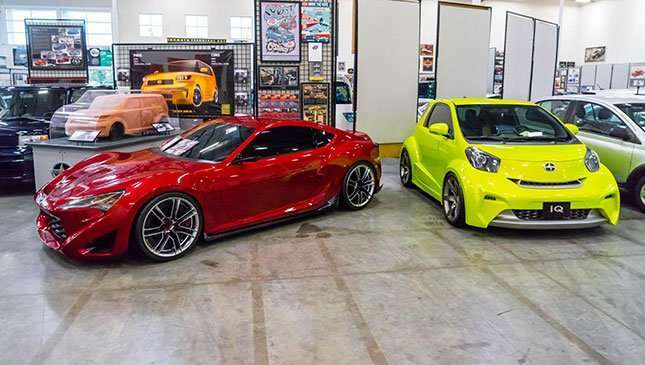 A couple of Scion concepts, which essentially look like Hot Wheels caricatures of the Toyota GT86 and iQ. Which is fine by us. Cool, aren’t they? 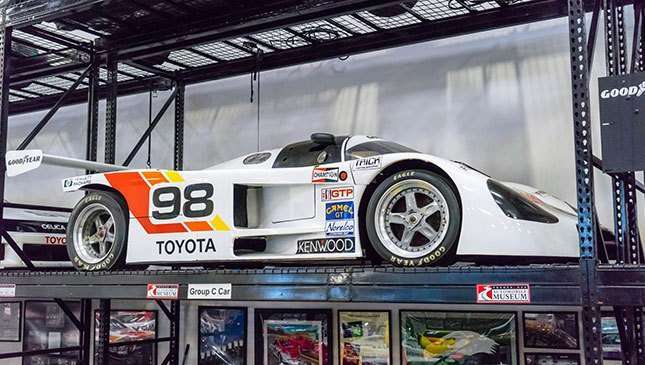 This Toyota Eagle Mk III raced in the American IMSA series and extracted a mighty 750hp from a 2.1-liter, four-cylinder engine. 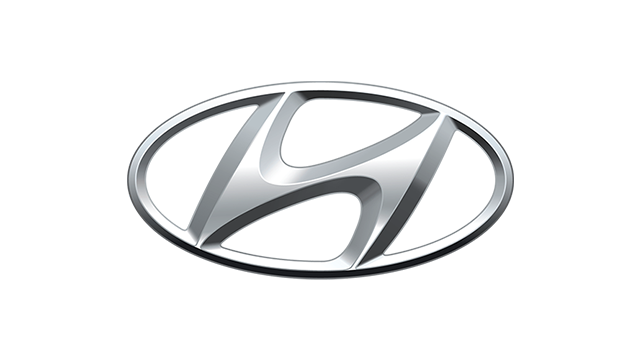 It won 21 of its 27 races in the early 1990s, with Brit Andy Wallace and the nephew of Juan Manuel Fangio (also called Juan Manuel "The Maestro" Fangio) among its drivers. As you walk around the museum, the Eagle acts as a gateway to an incredible selection of diverse race cars. 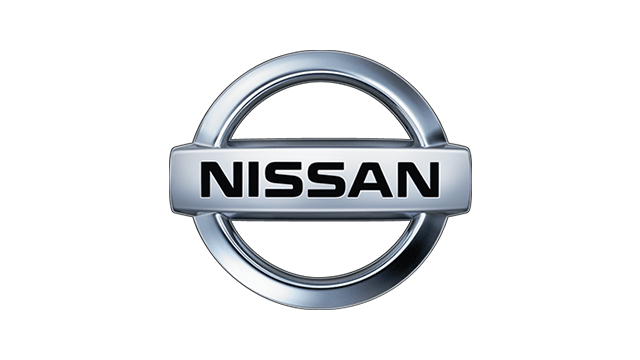 The ones we’d most like to drive, with our talent levels? Probably these. 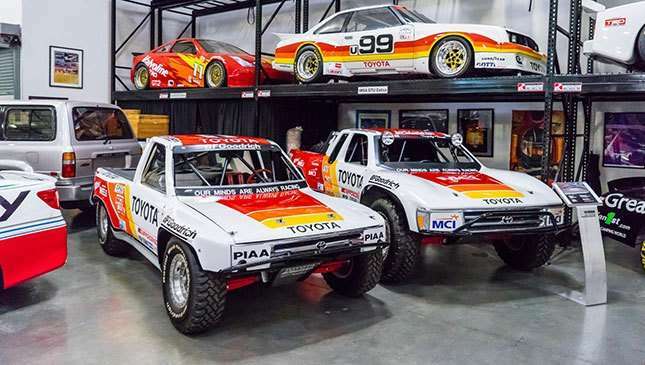 Who doesn’t love a pair of liveried, Baja-ready pickups? 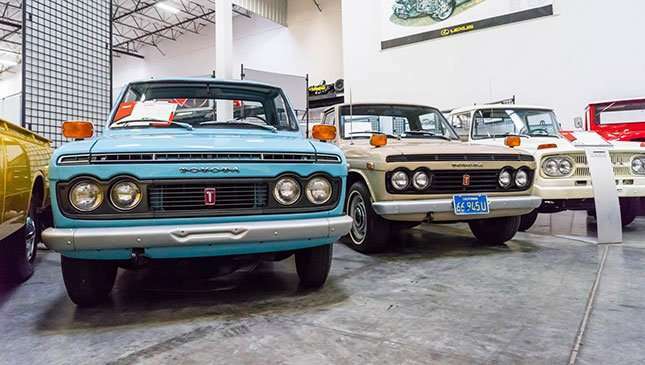 Some record-holding Toyotas. The MR2’s average on the Bonneville salt flats is an existing ‘G/BGT’ class record, despite being set in 1992. 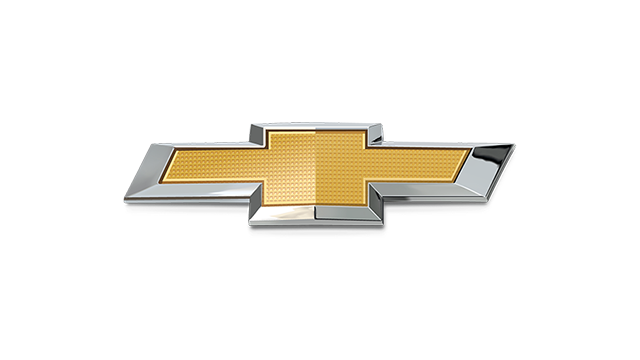 In plain English, that means turbocharged or supercharged 2.0-liter coupes. The Prius, meanwhile, pioneered the appearance of petrol-electric hybrids at Bonneville, with a 210kph run in 2004. It has since been beaten, though. 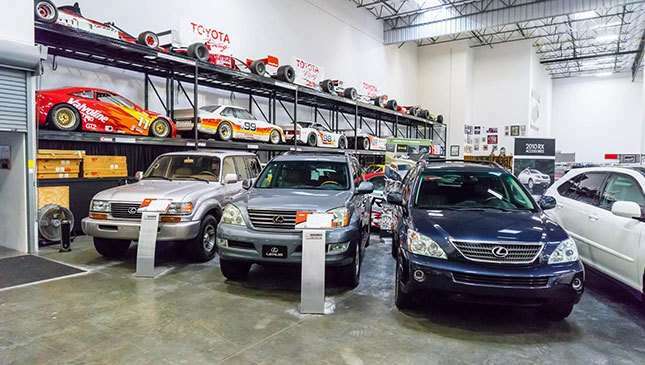 The museum sits beside Toyota’s motorsport HQ, which from 1977 to 2016, ran the annual Toyota Pro/Celebrity race. 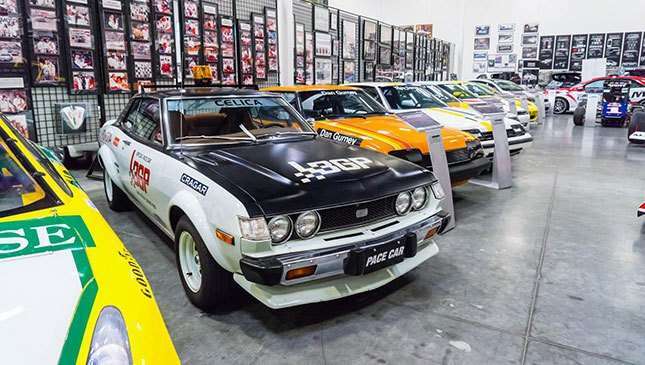 A charity event, it’s seen pro racers and famous faces pitted against each other in mildly tweaked Toyota coupes. Keanu Reaves is a notable recent winner. 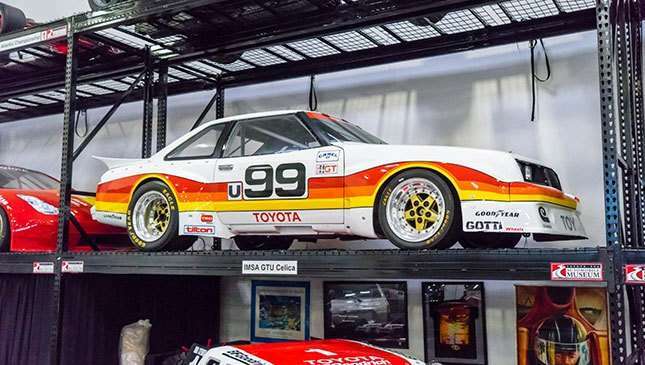 These Celicas mark the early years of the race; the orange one was raced by Dan Gurney. And here is the most recent celebrity race car, a Scion FR-S--a Toyota GT86 to you and me--lined up in various celebrities’ liveries. 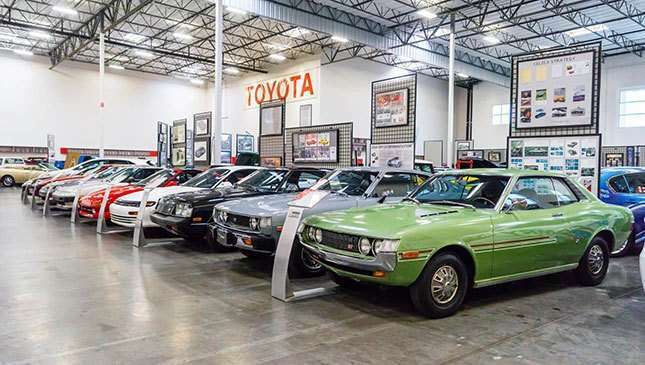 The Celica in the middle of this shot has 500hp. 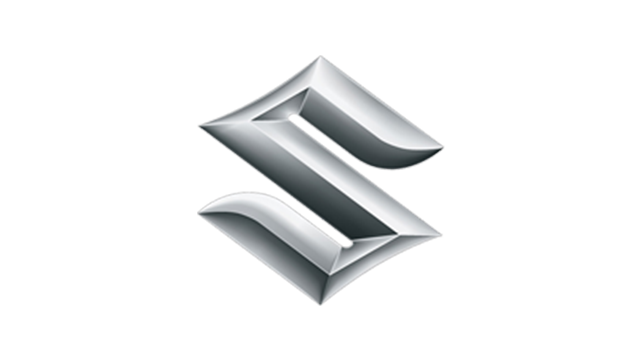 It’s straddled by cars that help display the mad streak that’s always sat beneath Toyota’s sensible image. And from another angle. 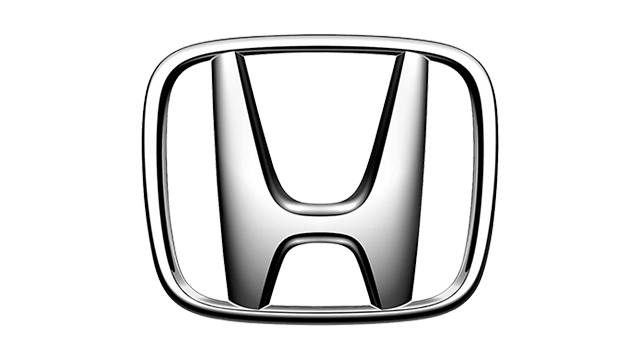 This or an LFA? 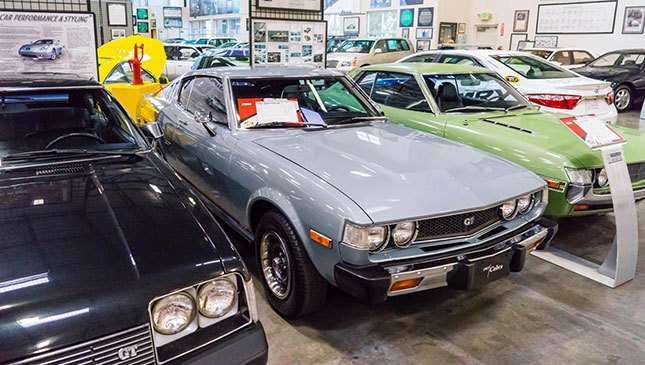 The Toyota Celica heritage, from the very beginning. 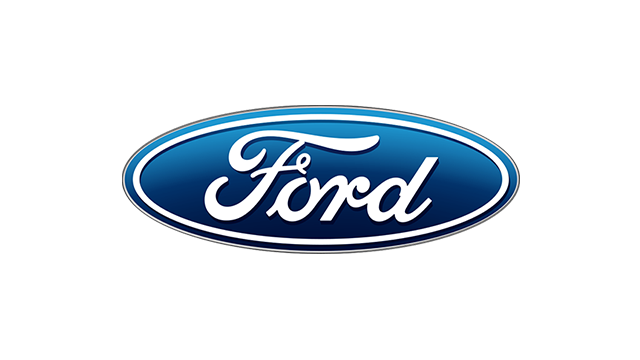 Reckon they had the sixties Ford Mustang on their mind with this one? 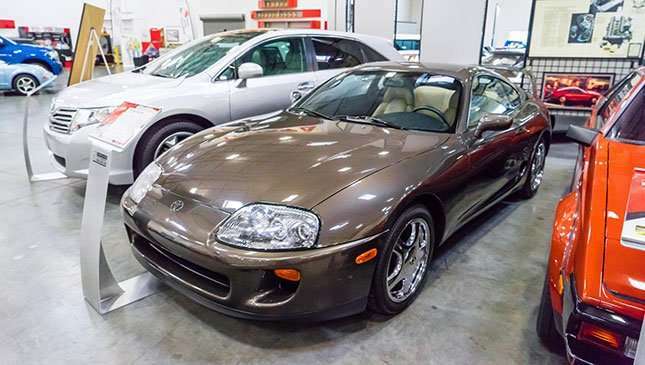 And now for a '90s Supra. 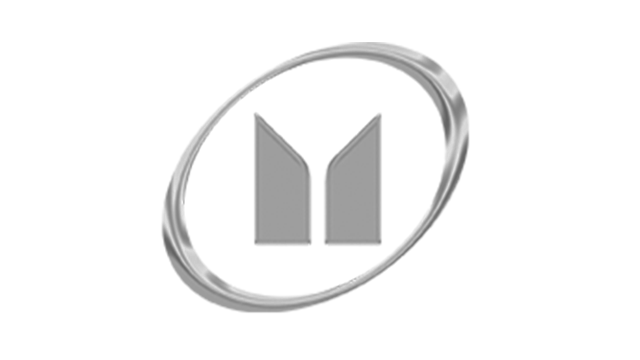 When was the last time you saw one of these so free of modification? How about a wildly winged Group C racer? 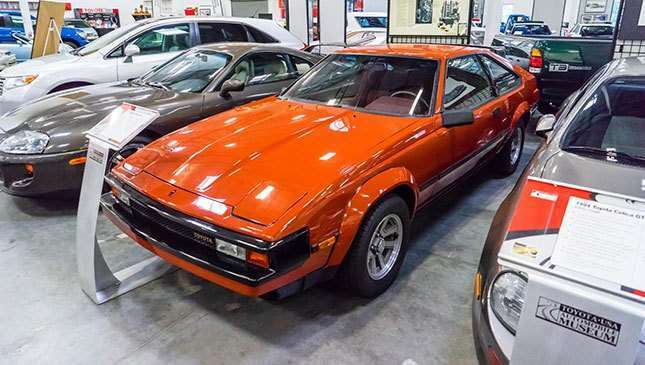 This is an example of the Toyota 88C, which competed in Europe, Japan and the US. 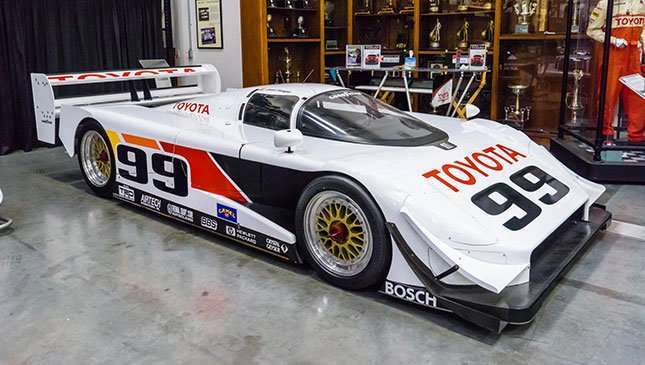 That includes the Le Mans 24 Hours, where its best finish was 12th, in 1988. 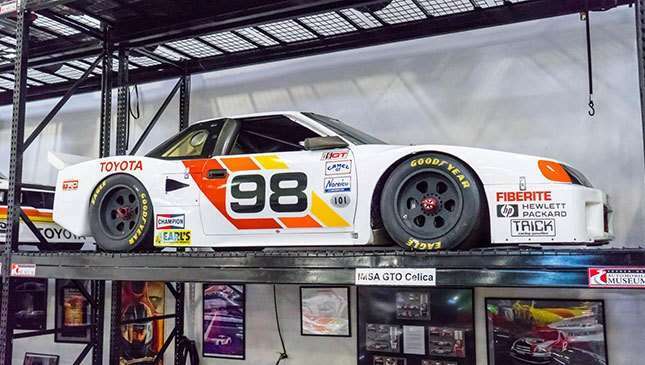 This is an IMSA GTO spec Celica, barely recognizable from its donor car. That’s because, vague body panel resemblance aside, it’s barely related. 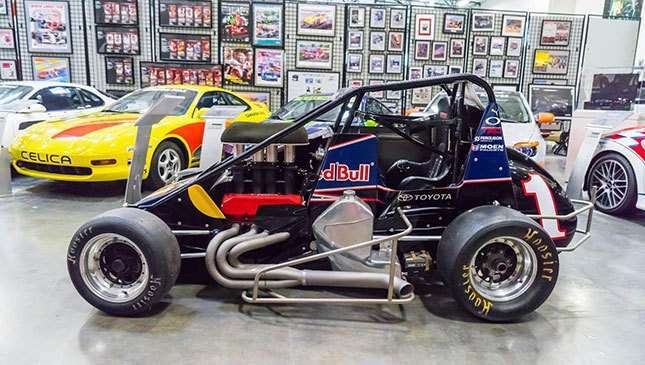 This 300hp IMSA GTU spec car ought to be a bit more manageable. It was the test-bed for the GTO car on the previous slide, but had a fairly successful racing career of its own in the US. So much so, Toyota honored it with a GT86 special edition. From one wild buggy to some tamer examples. 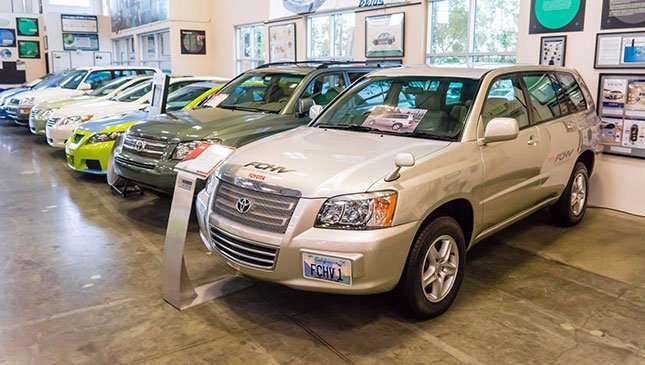 There’s a real diversity to Toyota’s off-road history, as this line-up of Lexus SUVs proves. 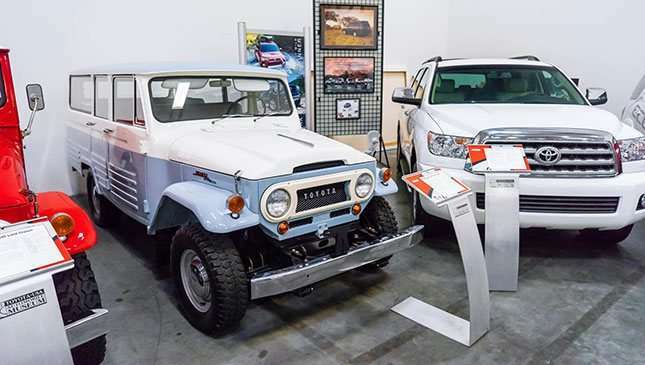 And this classic Land Cruiser and modern Sequoia even more so. 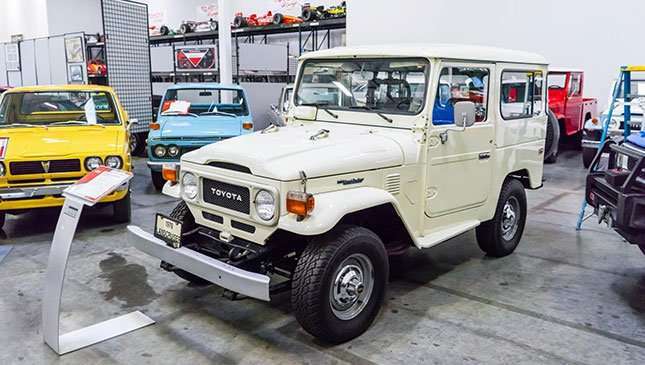 This Land Cruiser is an SUV long before they were called such things. 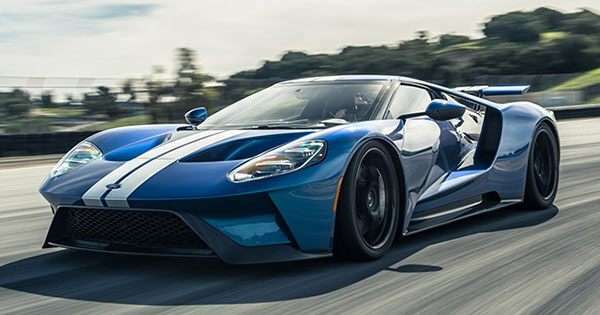 Who knew this would morph into something with 2,000hp, eh? 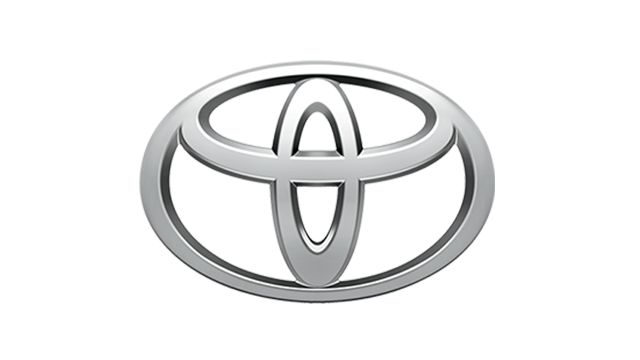 Toyota, purveyors of the practical like few other carmakers. 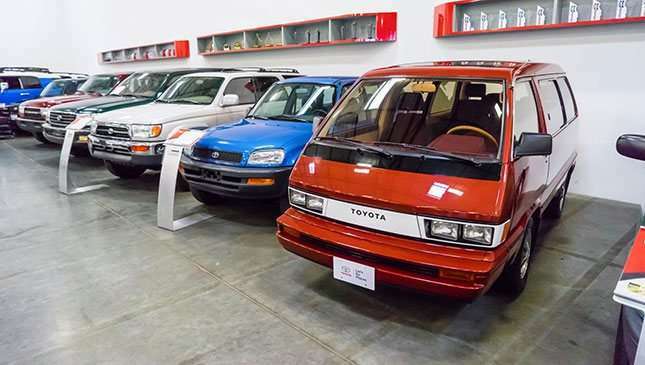 Here we see the Toyota RAV4 (blue), the crossover before crossovers were a thing, and the Toyota Space Cruiser, the MPV before MPVs were a thing. 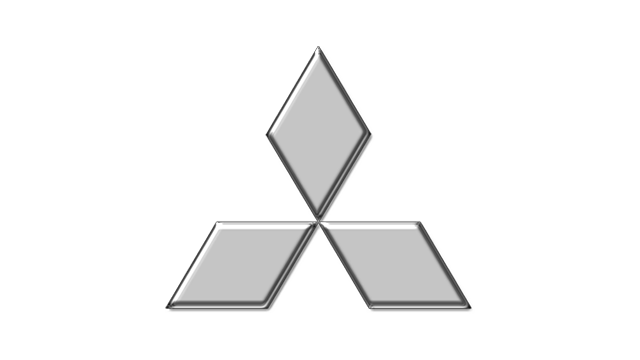 And here’s a crossover MPV way before the, um, Renault Scenic RX4 appeared to pioneer such wonder. 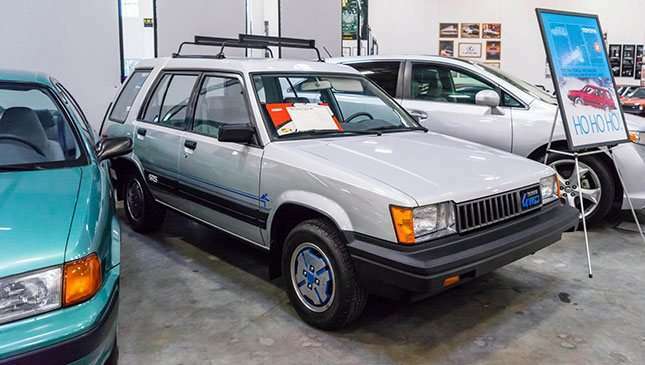 Among all of the Toyota museum’s racecars and concepts, the Toyota Tercel SR5 is gloriously unglamorous. Here is a recreation of the 1936 Toyota Model AA, the company’s first passenger car. Who said ‘Citroen 2CV Charleston’? 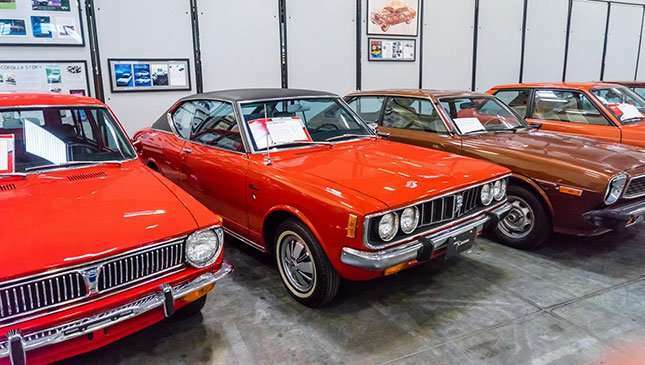 Check out the Toyota Corona, a US-targeted small car that made an awful lot of sense in the '70s gas crisis. Reckon it’s time for the vinyl roof’s comeback? 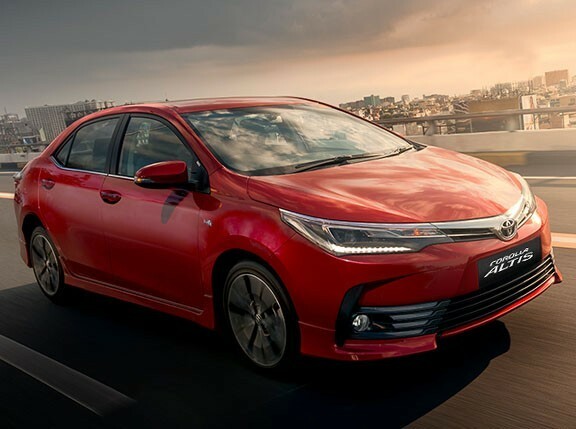 Behold the world’s best-selling car, the Toyota Corolla. 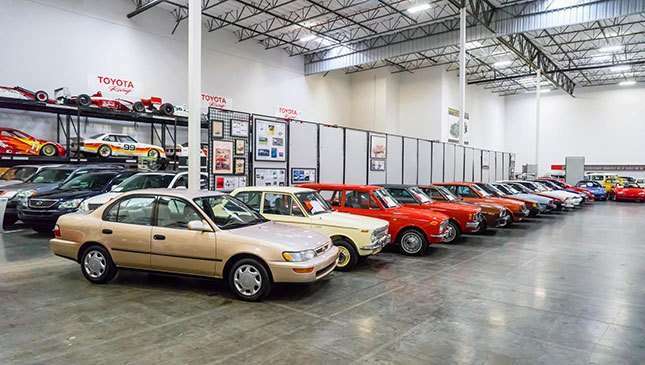 Here sits about 0.00000025% of the global Corolla population. 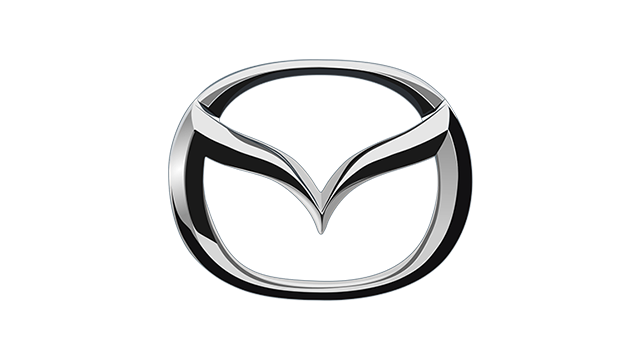 Some of the company’s more luxurious cars. 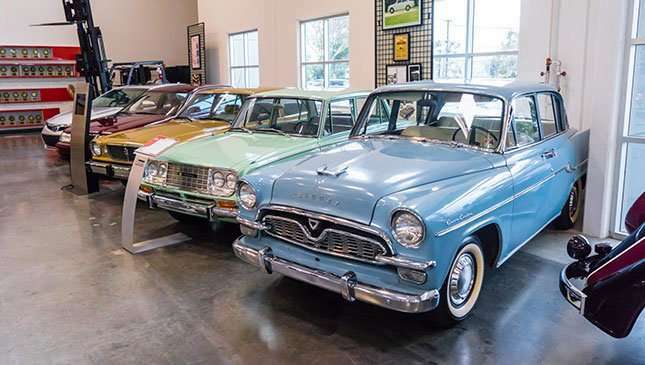 The blue example up front is the Toyopet Crown, the first Toyota imported into America back in 1958. 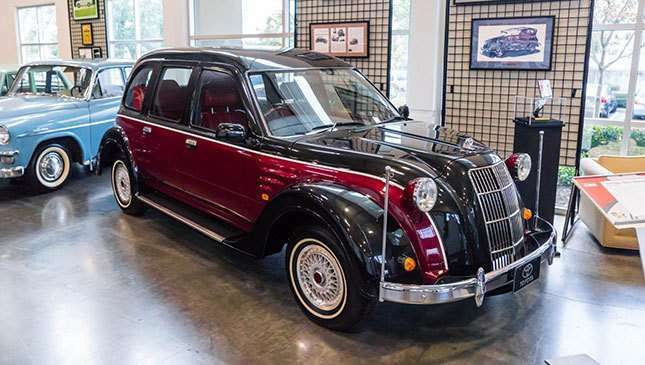 A fuel-cell powered Toyota, long before the Mirai came along. This Highlander’s probably nicer to look at, too. Some curious concepts. 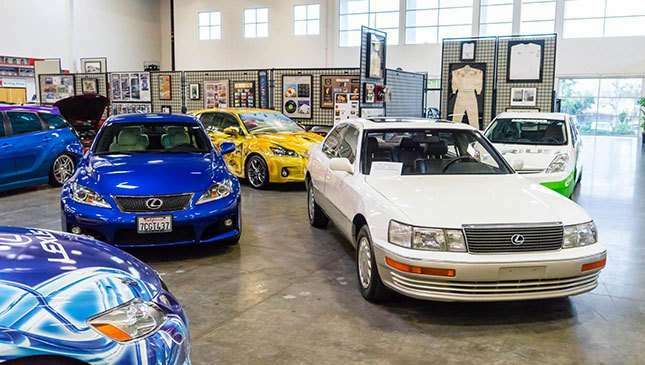 To the left, a Lexus coupe that previewed the Soarer. 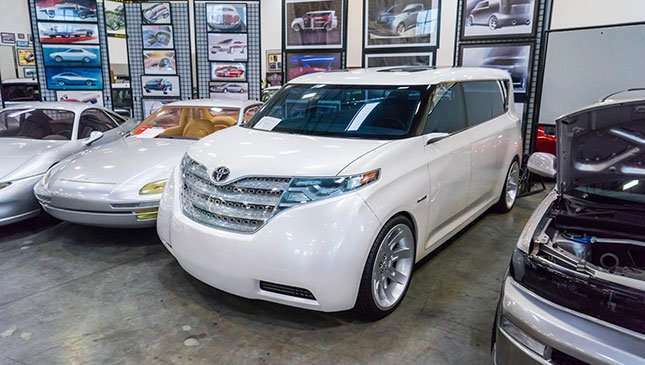 To the right, a Toyota minivan that previewed… um, nothing we can think of. Because who doesn’t want their people carrier supercharged and wearing two tone purple’n’blue paint?